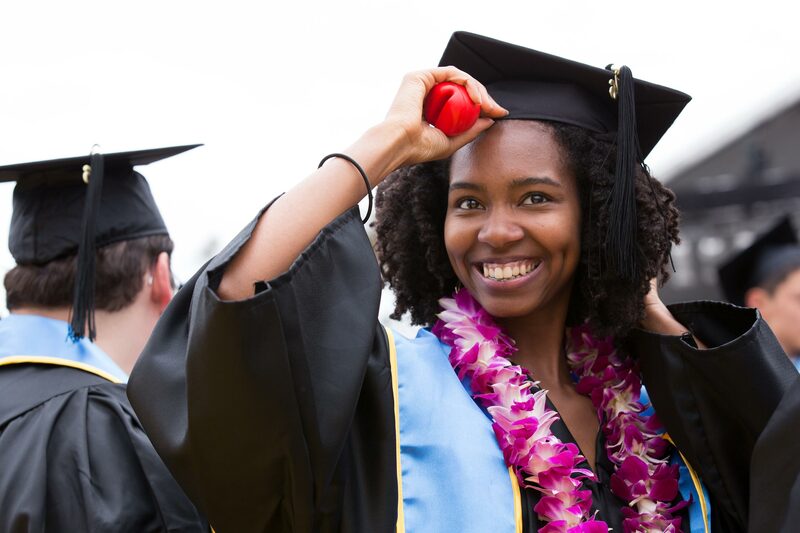 As the UC Santa Barbara community prepares for our annual Commencement ceremonies, we encourage graduation candidates, family, friends, as well as participating staff and faculty to review the important information and resources on this website. 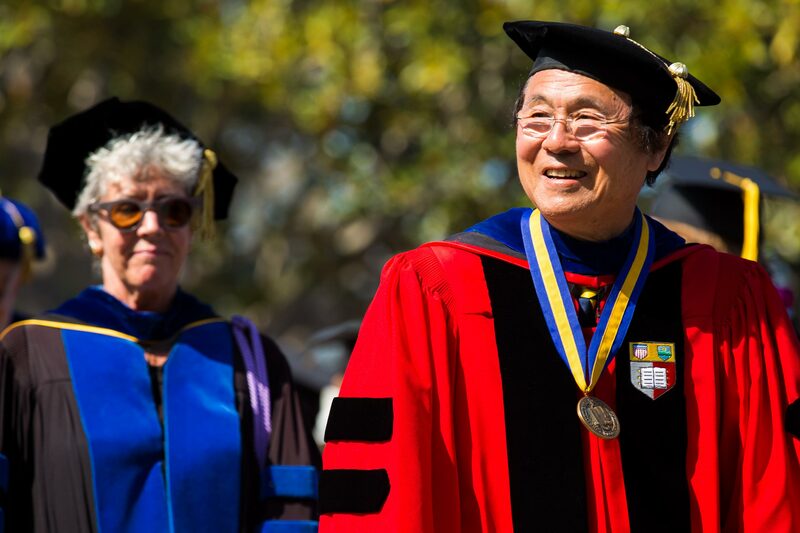 The warm thoughts and good wishes of the faculty, the administration, and your many friends at UC Santa Barbara go with you as we celebrate this major achievement in your life. ​​​​Note to parents: Before making travel and hotel accommodations, ask your student to confirm their ceremony reservation on GOLD. 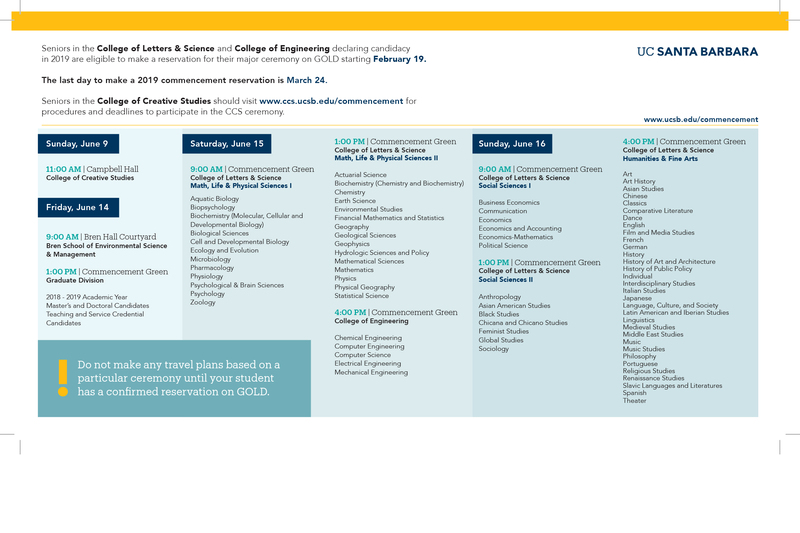 Find dates, times, and locations for each Commencement ceremony. Access links to important information for graduating students. Critical dates, parking details, and other pertinent information for parents and guests of graduates. 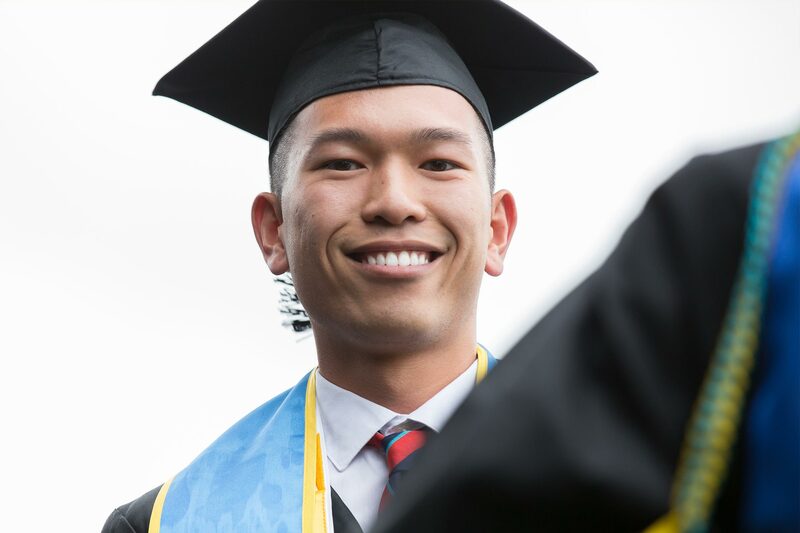 Important information for faculty and staff members participating in UC Santa Barbara Commencement. 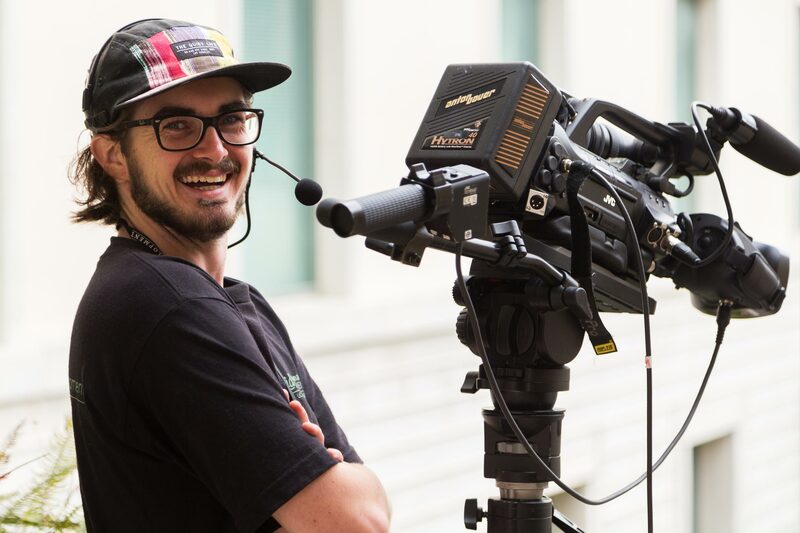 Can friends and family members watch Commencement ceremonies on the web? Get answers to this and other frequently asked questions. Need to contact someone about Commencement? Here’s a list of important websites and phone numbers. 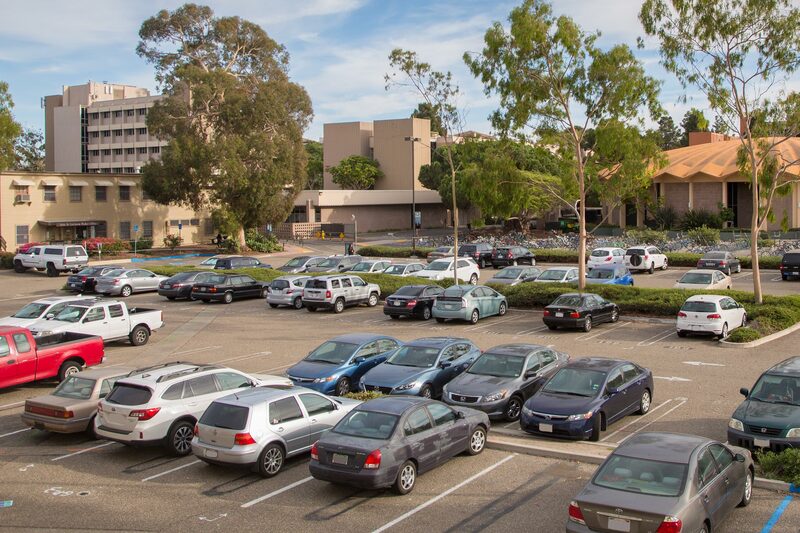 Find your way to the UC Santa Barbara campus and to designated Commencement parking. 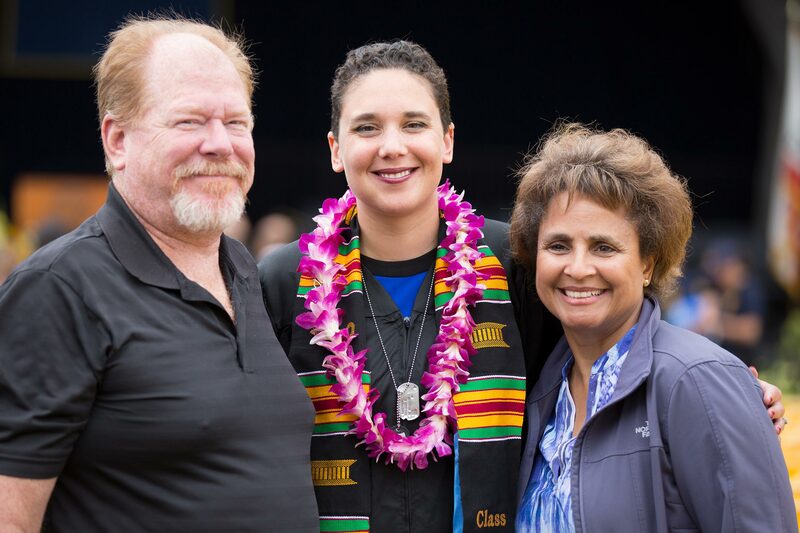 Contact the Commencement Hotline at (805) 893-8289 or email Commencement@ia.ucsb.edu.